I have made some and see my version below, I realized during this process I am not good at making hearts but had fun and was very relaxing making crafts. 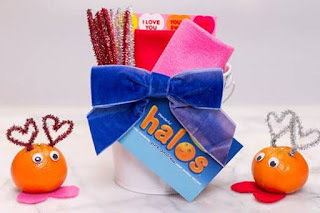 I love Halos and these will keep you well with Vitamin C along with great to give kids for Valentine’s Day at school. What can you create this Valentine’s Day with Halos?